I took a week long break from work to just relax and unwind and cater to other personal commitments. My last holiday was some time in May and the last leaves I took was when I fell sick. When work took precedence over everything else and started bogging me down, I decided that I need a break. I just needed to get away from the monotony of life for sometime. So when I finished all my tasks at work, I decided to take a short break and just do nothing. Cal was on leave for a couple of days too and time just flew in his company. We spent all the time together like we always do. Thanks to current Bangalore weather and pouring rain, we spent most of the time indoors. We watched movies and played games. But we most indulged in the favorite thing that we do together. Talk! We had long conversations over hot ginger tea and pakoras as we watched the rain together from our balcony. Diwali came and went as usual leaving behind a trail of torn papers, dust and smoke. Cal and I visited his parents for lunch and performed a small puja at our place and lit lamps all around. It was just us and it was so magical. Two days passed into the break and Cal left to work the next day. I caught up on some much needed sleep and relaxed for half the day. And then the ordeal began. After cooking, eating, cleaning and washing I had so much time on my hands that I did not know what to do. And when I have nothing to do, I feel worthless. I get angry at myself and get cranky and agitated all at once. I went and bought baking supplies and baked the perfect bread and mastered the recipe for an eggless vanilla cake. Until then I thought it was impossible to bake anything without eggs in it. A couple of hours passed and I was back to square one. I watched some TV and read some old editions of Good Food. Soon it was time for Cal to return home and I felt good again. The drill continued the next day. Not having a place to go after waking up every morning was eating me inside. I was in my house with all the time in the world to do whatever I wanted to, but no. I was brooding and sulking instead. I remembered a couple of fabrics I had bought over the weekend and designed and stitched a few tops for myself. I felt happy and content to be busy. But once that was done, I felt reckless again. I cooked and baked more. And yet I had way too much time in my hands. How much of television can one watch after all? I logged into work and was cheered up instantly. Just going through the mails made me smile and it helped me understand what I had been missing. But then again, I was supposed to be on a break. I shut the laptop and sat down with my Kindle. A few pages later, the rain on my window pane distracted me so much that I spent a few hours tending to the plants on my balcony and getting wet in the rain and enjoying myself thoroughly. But that came to an end soon. I stayed away from writing as well. Every time I switched on my laptop, I had this crazy urge to login to work and see what is happening. Which is exactly the opposite of taking a break. I came in and wrote a poem one day but not before checking my work mails and planning my work once I was back. Thanks to this habit of mine, I stayed away from the laptop and I could not visit other blogs as well. I sulked and cursed myself for taking a long break. Cal was so irritated with me as he wanted me to relax and unwind for a while as he felt that I was over worked over the past few months. I felt the same too, but sitting at home drove me crazy. I did a lot of creative things I agree, but that was not enough. I needed something more. 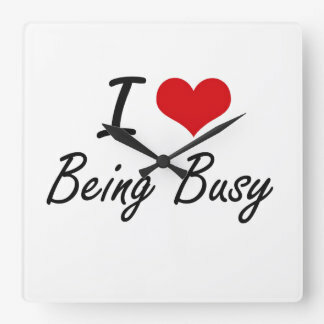 I wanted to be busy throughout the day. 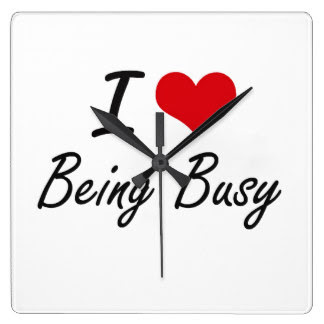 I love being busy and if I have a spare minute or two, I lose my mind. Am I crazy? Am I the only one like this? I enjoyed two days of vacation to the max by baking, stitching, reading, gardening and all other small things but after that it irked me to stay at home. The couch disturbed me, the TV annoyed me and I wanted to break free from this break of mine. While most people would have loved to be in my place, I was dying to get back to work and be a part of the routine again. The last few days of the break was spent in boredom, anger and frustration. I am not going to put myself through that again. Unless and until I'm going on a holiday elsewhere, I vow to not take a break from work again. A day or two to break the monotony is enough for me. But anytime longer than that I shall end up pulling my hair and bringing the house down. Call me a workaholic if you like, but this is how I am. Now that I'm back to work, I feel so happy and thrilled. The rain and the gloomy weather doesn't bother me anymore. Even the nagging auto rickshaw drivers don't trouble me. All that I'm concerned about is getting to work and spending eight to ten hours there. Just sitting at my work station gives me immense joy. The most awesome part of my work day is that when I take a break, I write. Hence this post. Small breaks are enough to keep me calm and happy. For now, long breaks are a serious no no for me. If it involves a travel and a change of scene I am fine, but just sitting at home and relaxing is not something that I would want to do ever again. Go ahead and call me crazy. Your break worked perfectly for you Soumya if it made you happy to get back to work. I used to be like that once upon a time. It can be quite an ordeal to sit home once you're used to the hustle and bustle of office. The whole dressing up for work, the endless cups of tea, the crazy deadlines, the crazier colleagues - I still miss it somedays after years of being home. 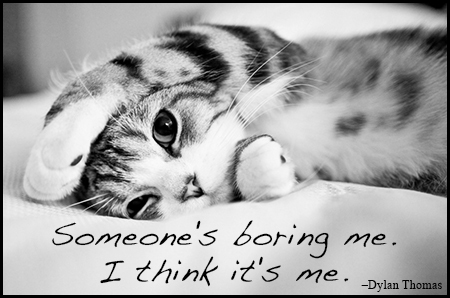 PS: Doing 'nothing' is also an art one needs to prefect. I would prefer to take LOP and stay at home :) Go ahead and call me crazy. I hear you Soumya. I guess it's not about not having anyplace to go, but it's about being stuck in a routine. And, obviously no one has any time for a long holiday anymore. This happened to during August and luckily I just happened to travel for just 2 days, not far though just about 300 kms. The change was enough to make me feel better and it's been keeping me going on ever since. I suggest you try it too. Short breaks are the best to go about I think. I'm glad you found one that works for you. At times it does get hectic, but I prefer that over a break anyday. You gotta show your stiching work ... what did you stich? I am a Mom of a little boy so I just crave to get a little time for myself. And when I do, I miss him so much that I want to go back to him ! Now you can call me crazy. Hahaha, I'll call you cute! But I love the fact that you love being you! And so do I.